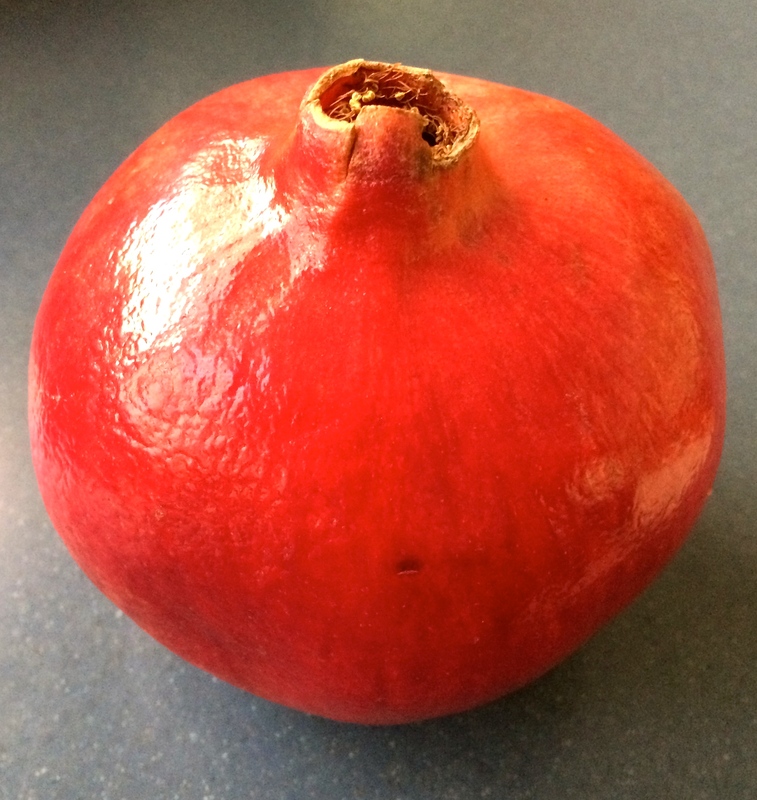 You can buy pomegranate arils in a little plastic container in the market. This actually ranks pretty high on the convenience chart. The arils are rich in antioxidants and low in calories, but they can be pretty messy to remove, so it’s nice to have them readily available to stir into yogurt, or sprinkle on salad, or to make this really great appetizer. If you decide to start with a fresh pomegranate, the easiest way to remove the arils is to do it under water. Score the pomegranate and place it in a bowl of water. Break it open under water to free the arils. The arils will sink to the bottom, and the white membranes will float to the top. Drain and put the arils in a separate bowl. Reserve a half cup. Freeze the rest of the arils for another use. 1. Place avocados in a bowl. 2. Add 1/4 cup arils and the remaining ingredients to the diced avocado. Mix well. 4. Put in a serving bowl and sprinkle the remaining 1/4 cup of arils on top. 5. Serve with tortilla chips. Thanks to Sandy Bayne for sharing the recipe! This entry was posted in recipe and tagged pomegranate arils. Bookmark the permalink.